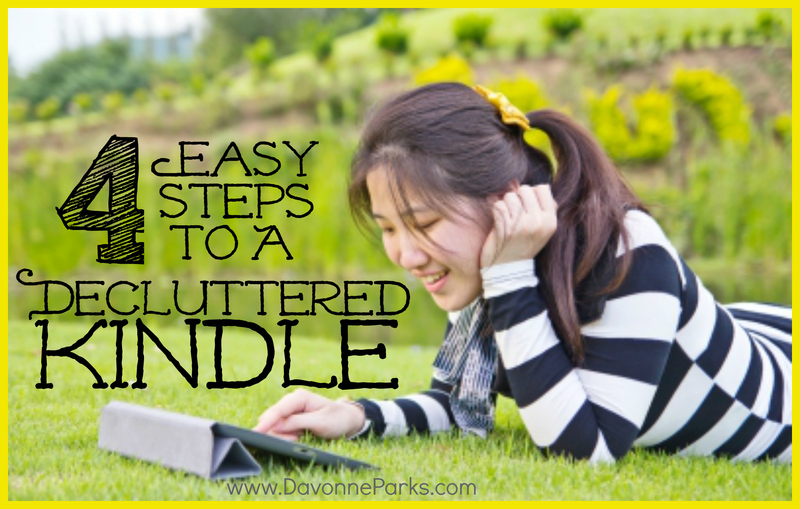 4 Easy Steps to a Decluttered Kindle! When my husband and I first realized that we could install Kindle apps on our phones for FREE, I was so excited about it that I downloaded nearly every free book I could find! But more than 3.5 years and over 500 books later, it was past time to do a little decluttering. While all of the basic declutter rules apply to eBook decluttering, I’ll give you a few quick tips as well. 1) Delete any books you read that you didn’t really like. 3) If it’s a book you downloaded for a specific occasion (a wedding, travel tips to a vacation spot…) and that occasion is over, delete the book! Tip: Remember that there are new free eBooks every day! You won’t run out of free reading material, I promise! 1) Keep any books that you read and loved, especially if you like to refer to your old books or loan them to friends. 2) Keep any books that you actually plan to read. NOTE: Since I have this Kindle (affiliate link), the following tips are specifically for Kindles. If you have a different type of eReader, just check your device settings – the process may not be very different! You may be able to do declutter your eReader from your phone or from the eReader itself, but I imagine that would be pretty cumbersome. 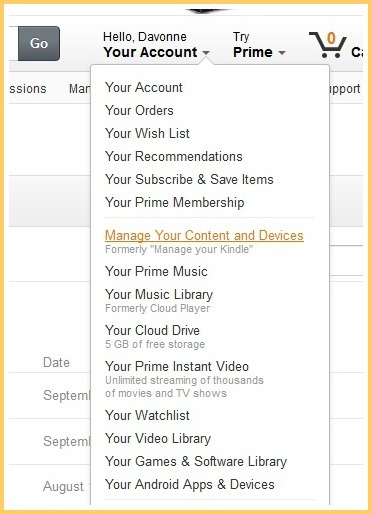 2) Go to your Kindle Settings. When you clicked on “Manage Your Content and Devices,” it should have taken you to where you can see all of your eBooks in one place. If not, click on the “Your Content” tab on the left side. Click the “Select” button on the left side of the books you want to delete. Once you have up to ten eBooks selected, click on the orange “Delete” button towards the top of the page. Repeat until you have deleted all the books you want to delete! 4) Organize your remaining books into folders! 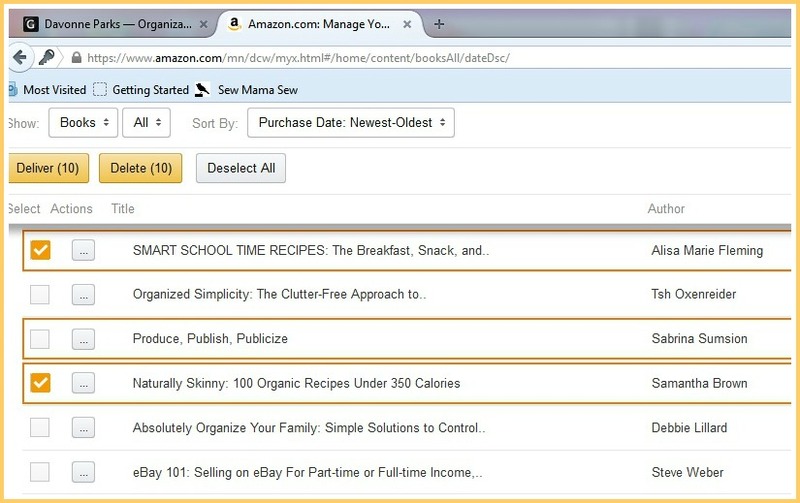 If you have a lot of books and want to organize them into categories or folders (Amazon calls them “Collections”), grab your Kindle and use this how-to article from Amazon to help you. The bottom line? I went from 515 books down to 199 books on my Kindle in about 30 minutes! I’m sure there are more books I could delete, but for now I’m thrilled with this much more manageable level! How many books are on your eReader? Are you happy with that amount or do you think it’s too much or too little? This has been on my “to do” list and I just didn’t know how to approach the deleting and organizing. Thanks for breaking it down for me! I currently have A LOT of ebooks that need to go! You’re very welcome, Morgan! Good luck organizing your eBooks! Great idea. Something I wouldn’t have thought of, but my husband downloaded some free books that are questionable at best. Need to get them off my nook account! Oh!!! Good tips…I have definitely over indulged in free books and have trouble finding the ones I really really want to read. I’ve tried organizing from my Kindle…going to do it this way instead. Thanks so much! It’s been awhile since I’ve commented but I’m still reading along and still love your blog!!! I was just wondering how you are – it’s good to hear from you again! Another thing I recently thought of (that I need to do) is to ask myself, “If I just saw this book today, would I download it?” If not, then delete! And congratulations on your little girl! The photo of her and Champion is precious. Is this possible for Nook?